This Deluxe System Case holds and protects a complete Nintendo Switch™ system with a durable hard shell case for maximum protection and comfortable carrying handle. Sectioned compartments secure the Nintendo Switch console with Joy-Con™ controllers attached. 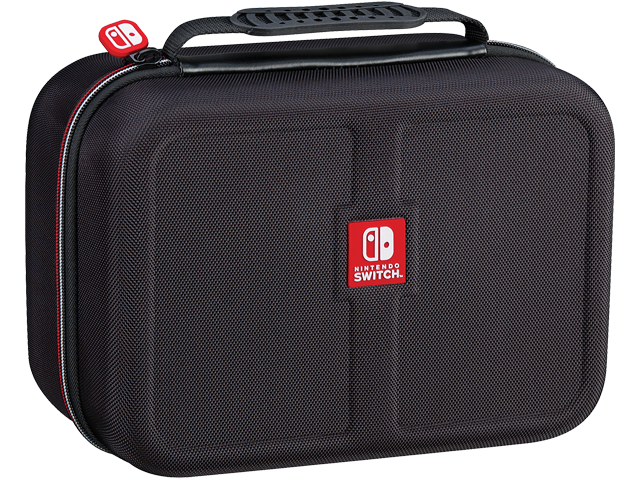 Also holds the Dock, AC adapter, Joy-Con Grip or Nintendo Switch Pro Controller, connection cables, Nintendo Switch game cards, Micro SD card cases. Nintendo Switch, Dock, Joy-Con grip, and Joy-Con controllers, and games not included.